Actor Steve McQueen was not just a style icon of the 60s and 70s; he was the face of modern car collection fandom. And to this I ask: how much is his name worth these days? Answer: a lot. This past week, Mecum Auctions brought the Turbo Carrera, also known by the factory designation “930,” out to the Motor Press Guild’s monthly luncheon at the Proud Bird Restaurant near Los Angeles International Airport. Mecum handled the auction of the McQueen 930 at its Monterey auction (in conjunction with the Pebble Beach Concourse d’Elegance. Since 2008, the 930 had been owned by Mike Regalia of Regalia Concourse Restorations in Sun Valley, California. In between McQueen and Regalia, the Porsche passed through the hands of film producer/writer Floyd Mutrux (American Hot Wax, The Hollywood Knights), Dean Paul “Dino” Martin (son of Dean Martin) and several other owners. Owner Bill Susdorf performed a cosmetic and mechanical refreshing in the early 1990s, but other than that, the vehicle is pretty much stock, with a few minor modifications ordered by McQueen during his ownership. The odometer currently reads over 154,000 miles, but the car appears to be in near mint condition. It sports a slate gray paint job, as special ordered from the factory, and wider than standard wheels, put on the car by McQueen after he took possession. There’s also a very McQueen feature – a toggle switch on the dash that turns off the rear lights. According to Chad McQueen, the actor’s son, Steve McQueen had that switch installed in case he needed to escape the traffic police on Mulholland, a favorite strip of road in the Hollywood Hills. The man was a true rebel and the coolest dude on the planet. There’s no denying it. As for the machine itself? 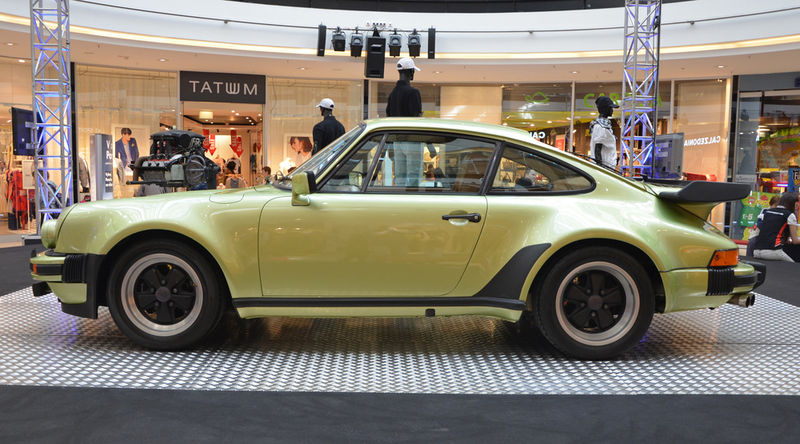 The Porsche 930 was a sports car built by Porsche between 1975 and 1989, known to the public as the 911 Turbo. It was the maker’s top-of-the-range 911 model for its entire production duration and at the time of its introduction the fastest production car available in Germany. Porsche experimented with the new turbocharged technology on their racecars during the late 1960s, and in 1972 began development on a turbocharged version of their famous 911. Ferdinand Porsche, who was running the company at the time, handed development of the vehicle over to Ernst Fuhrmann, who adapted the turbo-technology originally developed for the 917/30 CAN-AM car to the 3.0-liter flat-six from the Carrera RS 3.0, creating what Porsche internally dubbed as 930. 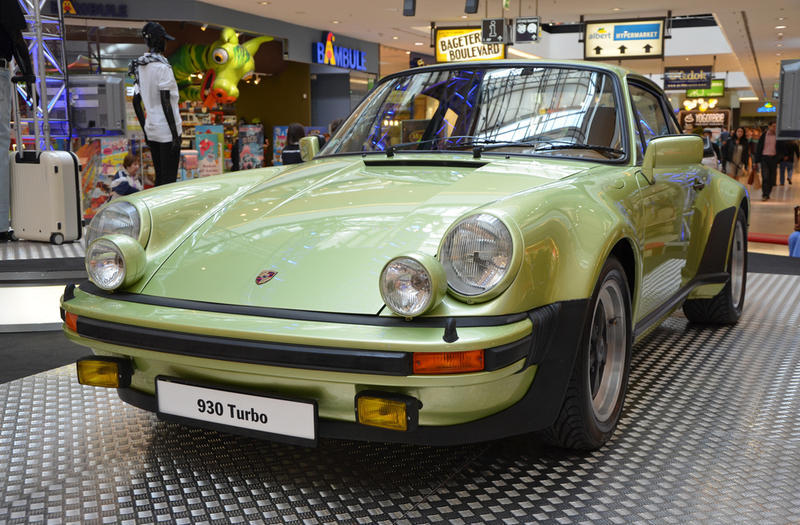 Total output from the engine was 260 PS (191 kW; 256 hp), much more than the standard Carrera. In order to ensure that the platform could make the most of the higher power output, a revised suspension, larger brakes and stronger gearbox became part of the package, although some consumers were unhappy with Porsche’s use of a 4-speed whilst a 5-speed manual was available in the “lesser” Carrera. A “whale tail” rear spoiler was installed to help vent more air to the engine and help create more down-force at the rear of the vehicle, and wider rear wheels with upgraded tires combined with flared wheel arches were added to increase the 911’s width and grip, making it more stable. The 234 hp Porsche was one of the fastest cars of its day, and a notoriously difficult one to drive. This one was had the early, non-intercooled turbocharged 3.0-liter flat-six engine, four-speed manual, limited-slip differential and black sport seats. It was delivered with seven-inch front and eight-inch rear wide wheels, but McQueen updated them to eight-inch and nine-inch, respectively, in his ongoing quest for speed. To help him achieve it, he had a kill switch installed for the taillights in case he was chased by the cops while racing along Los Angeles’ Mulholland Drive, according to his son Chad. Needless to say, this car became the stuff of legends amongst serious collectors and enthusiasts. Anticipation was high for this car, which carries undisputed provenance and a well-documented chain of ownership. This ’76 model even has the distinction of being the last special order Porsche that McQueen ordered before his death from cancer in 1980. And then it was sold. Sold as Lot #71 after a round of spirited bidding, the McQueen 930 brought in $1.95 million, topping the current record for a stock 1976 Turbo Carrera. Collector/restorer Mike Regalia consigned the Porsche to Mecum for auction, and promised to assign a portion of the proceeds of the sale to Boys Republic, where McQueen spent time as a youth.